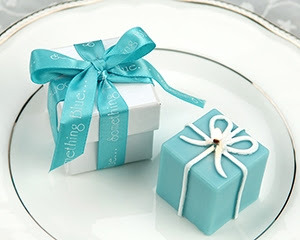 What are your thoughts, did you use wedding favors at your wedding? Tell me your story if you did, I would love to hear! Bollywood celebrity designers Manish Malhotra, Vikram Phadnis showcased their stylish designs at South African fashion week. 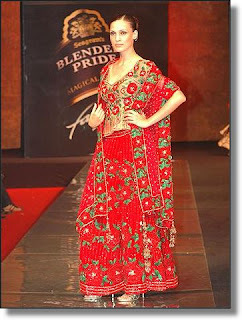 We all know thanks to the bollywood movies that Africa has had a love for stylish sarees. 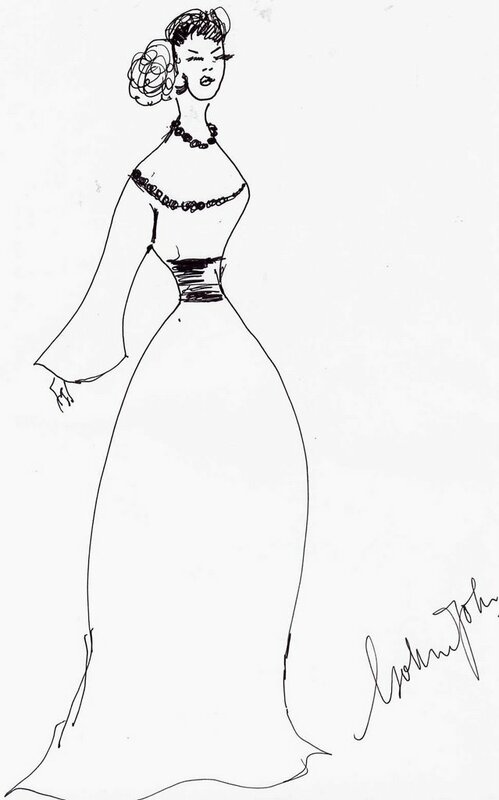 Here are some of their designs. On an another note also if you are feeling the slipper below like I am let me know either by email or by posting a comment as well. "Radio Africa" in 1986 the video listed above said "I am hearing only bad news from radio Africa." I remember as a child thinking what the hell is he talking about? Listening to this now. It makes sense, however we need to celebrate the success stories from Africa. I hope this blog will highlight good things. For instance, I came across a site yesterday kiva.org (still wondering how it works) but I have to say, this organization is doing a good deed. Lending money to those in need and getting paid back. This is not a handout; this is what the people who cannot afford need. They do not need nor want anyone giving them rice, instead they would prefer to have the tools to create the rice they want. Yvonne Chaka Chaka's song "my mamaland"(the video listed yesterday) evokes emotions in me; I love my mamaland; the red sand, the love of family, hardly would you find someone homeless. Do not discount what $300 can do in the life of an entrepreneur. As a kid when i received money as an allowance of sorts, I would save my money till I had enough to buy food items; I would then pester my mother to take me to the market and subsequently take me to the "motherless babies home" (orphanage). I would spend the day there with so much joy. What have you done in the life of someone today? This goes to you reading this. Now take a look below and see how African entrepreneurship is thriving! 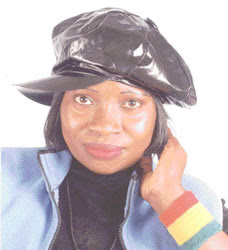 FLASHBACK TIME YVONNE CHAKA CHAKA! MY MAMALAND. Check out the event where by vmobile and Frank Oshodi painted Lagos red with style! What do you think of the pictures? I say they are hot hot hot! 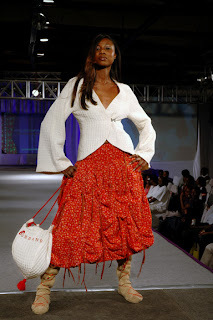 ALSO CHECK OUT A COOL VIDEO FROM SOUTH AFRICAN FASHION WEEK; I SEE STYLISTA DEOLA! Are you a budding designer? Well here is my practical advice on areas yet uncharted. Find a niche! 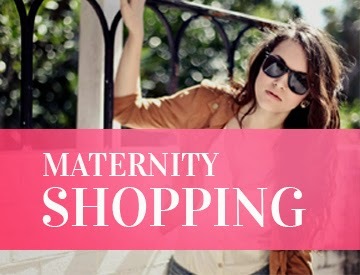 Wedding, Maternity and of course the most overlooked fashion enthusiasts plus size! Guess what entrepreneur magazine says about the plus size market? "The numbers don't lie. The average American woman is a size 12 to 16, and 30 percent of all U.S. adults are obese. Meanwhile, London-based researcher Mintel International Group Ltd. reports the plus-size clothing market reached nearly $32 billion in 2005. It's no wonder plus sizes are making waves" African sisters too. Now given a choice to start my own line; I would say my niche would be plus and maternity. It is a huge and dare I say overlooked market. Any questions? If you are a budding designer, here is my advice. 1. Think globally. Design your style and then send it off via base camp to your manufacturer in china etc. 2. Get people to talk about it. Get on a blog like naijagal. Next thing you know you are well on your way. 3. Partner up! Do you know someone selling plus size robes. You sell plus size lingerie for example. Any other ideas? Good news readers, I have something cooking which I am pretty excited about. 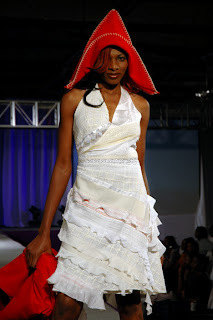 Jasna Hadzimehmedovic Bekric from Bosnia showed her line at the kenyan fashion week. I like the uniqueness and cultural style. Thoughts? I know I am considering going into that arena. There is so much moneyto be made considering the amount you place into it. Wedding Gowns? 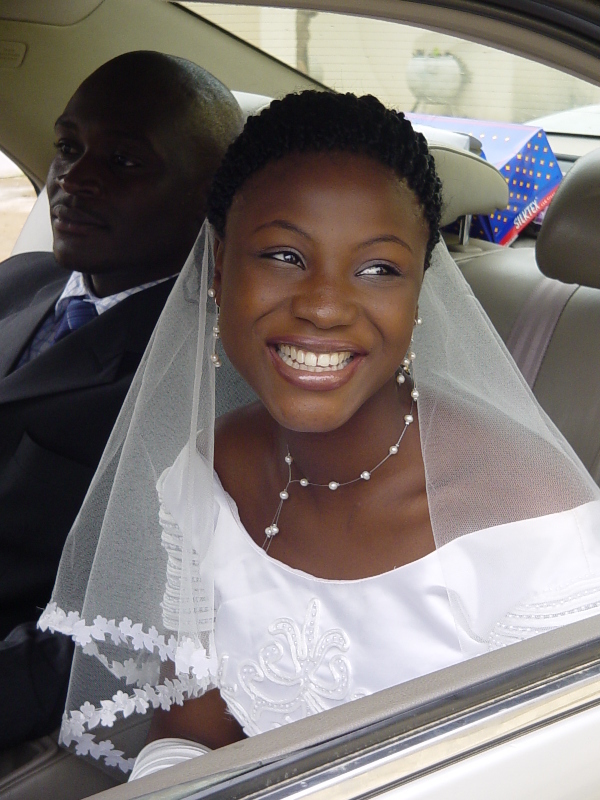 You can rent from Chioma Dibor’s Brides & Bells. "Dibor believes couples do not have to run into debts buying their wedding clothing needs when they can rent them, without mortgaging quality, at what she calls “affordable prices”. So Dibor rents out “classy” wedding gown and accessories to “help wedding couples cut cost.” Her rates hover between N20,000 and N25,000 for bridal dress and accessories, and N15,000 and N20,000 for complete groom suit. " according to the news! But since you insist on buying! It will set you back between N100000-500000. Geles? No problem call KAREEM, she pockets up to N3,000 to tie that GELE STYLE you crave! Cost of the hall? "At Liberty, a 1500-capacity hall on Lekki-Epe expressway, the charge is N393,750 per event"
" The profit on an event ranges from N50,000 to N200,000, depending on the calibre of the client or the number of invitees." and the wedding invitations more on that soon! 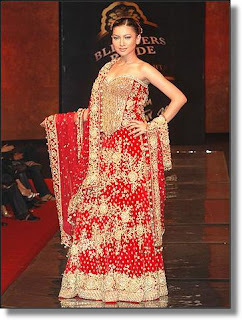 It is so refreshing to find a designer that is so inherently proud of his culture. While you hear designers today saying oh " I do not want to be know as Nigerian or African designer" This guy by the name of Ibrahima Doukoure who founded his company www.bebenoir.com a couple of years back is proud to be African! Check out his style below? What do you say yay or nay? Okay I have this to say today my dear fashionistas reading this; What is up with designers not keeping up their websites? Once you start a business, you must, I repeat you must keep it up at least for the first year! If you need website design and hosting send NAIJAGAL an email and I will personally get someone to get you one for a year at a good price! I hope Modivah reads this. Deola Sagoe, is there a link to your website? Okay now back to my regular report. 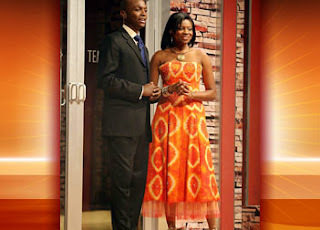 Oluchi looking glam in Sun GODDESS designs! What are your thoughts? What makes a designer unique? Why would you call Zac Posen a designer as opposed to Yemi fashion house ? NAIJA BINI CHIC HANGING OUT WITH THE PRINCE AT A PARTY! Who exactly is she?? I checked out her website which made me decipher that she is a MODEL or something like that. Well all I can say is this; this true fashionista is definitely close enough to have another African prince for his royal highness! OK just found out she is a stunning singer check her out! Hope you are having a swell Monday! I know I am, one of the things that irks me though is how people especially Naija and Africa call FASHION DESIGNERS seamstress!!! I was at an event and a dress designed by a fashion designer trained in one of the elite schools in the United States was referred to as a SEAMSTRESS! Why do folks not get it; Would you call RALPH LAUREN or VERA WANG a SEAMSTRESS? I think not! ugh! Oh and here is another interesting fact! Did you know jet blue reservation agents work 100% from home! (how does this have to do with fashion?). Well if you are an aspiring designer you can work from home to pay the bills and then design your clothes! 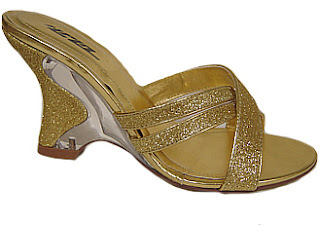 Oh did anyone sign up for www.yourunway.com last week how was the process? I have been asked by the beta site's developers:) GOT A LOT COMING UP LATER TODAY. WATCH THIS BLOGSPACE. Where is she now we hear she is in france working on a new album. We can't wait, can you? Check it out sign up and from what i gather, you take a picture of yourself and and create your own blog about your fashion style and meet friends! call it myspace meets youtube. Well maybe just for pictures. This is one site to watch. I will be watching too. Designers seeking exposure you have no excuse this time around. 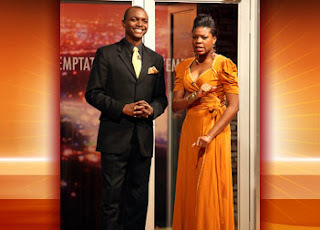 Today take a look at other designs by JJSHOEMAN, the South African top designer who designed the dress worn by Temptation Nigeria's stylista KEMI. What are you thoughts? I like his style reminds me of PETERSOM's clean classy lines. Do you think he is hot? Congrats to Funke Bucknor wedding consultant for winning the future awards entrepreneur of the year! Kudos to the winners and the fashionistas nominated especially our own stylista msminx who looked fabulous at the event and stylista Toni Payne! What do you think? I am loving it all! 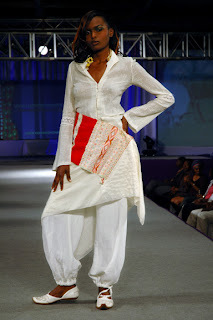 Naija designers doing their thing! Can someone offer naijagal one? I will pay! Which one is your favorite dress? Carla Caballero is a name to reckon with in the fashion industry. Born 26 years ago to an Chilean/Italian father and a South African mother, she recieved her diploma from Haute Couture school of fashion design, Cape town. I consider her style tres chic. What do you say? I just wanted to say now this is what a wedding should look like fashionistas! Classy, definitely love the color combination. 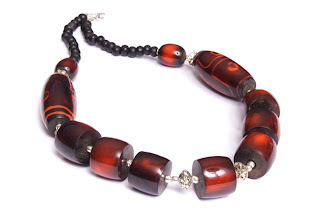 A cool pal of mine is putting together a nice site for fashionista jewels! Check out a sample below! 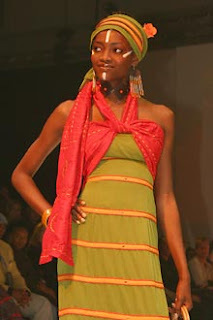 And finally here is the DURO OLUWU dress that was such a hit. What do you think? Hit or Miss in your closet? Thanks to MNET IDOLS COMES TO WEST AFRICA! "Four auditions will be held for IDOLS WEST AFRICA and West African entrants should note that these auditions will be held at the following venues – on January 6 in Lagos (The Ibru Victoria Gardens), on January 15 in Abuja (Sheraton Hotel), on January 20 in Accra (venue to be confirmed) and on January 26 in Calabar (Cultural Centre). These are audition registration days and entrants may be asked to return for an audition in the days that follow. However failure to register for auditions on the given dates means no later entry will be allowed." Here are some pictures ! I must say the ladies are true fashionistas looking stylish! Just hope they have the voice to match the looks! The guys are doing their thing too. So how has your weekend being so far? RED, BOLD AND JAZZY. LAGOS PAINTED RED! A LITTLE HUMOR, DID YOU KNOW A PANDA SNEEZES? Is Modivah the next best thing? JJSHOEMAN CLEAN CLASSY FASHION LINE! HOT! 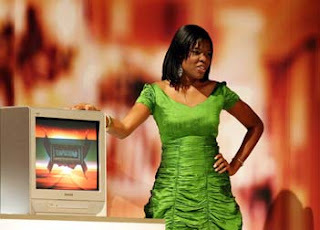 LOVING PSQUARE NEW VIDEO "SAY YOUR LOVE"
who wants to be a millionaire fashionistas! Spolight time! Hot Super MODEL OJY OKPE! Cranberry is so in!! Are you in style? BEST FASHION BLOG AWARD WINNER!